May his soul rest in perfect peace. May the good Lord give his families the fortitude to bear this irreparable Loss. We shall definitely meet with him in Heaven on the last day. Once again, RIP. Rev. Dr. Joseph McDowell. 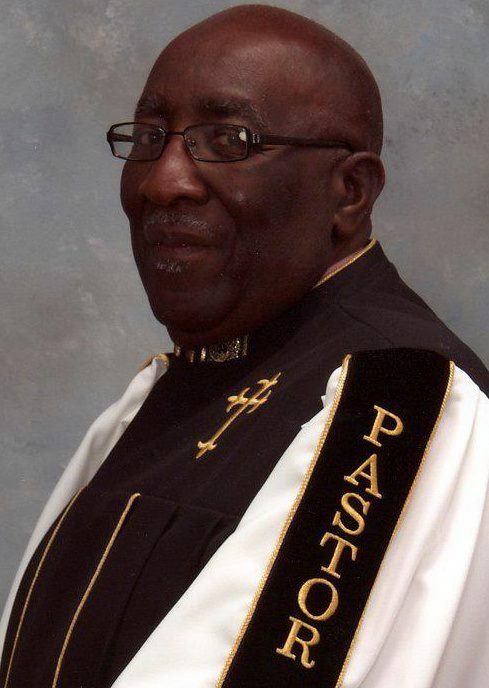 His image should be aside the definition of Missionary Baptist Doctrine. A man of firm convictions and unwavering faith, his sermons were laced with the crimson ribbon of Christ. He was a unique dichotomy. He led like a lion. Yet he was gentle like a lamb within the wide circle of friends that expanded a full life. He loved a good debate, but also laughed at a good joke – along with good food. His frown would intimidate his opposers. His smile would encourage his supporters. Even if you did not agree with him, you had to respect him because his theology and philosophy was consistent – a rare combination today. He had a God fit to live for. A self fit to live with. And a faith fit to live by. He loved God, his family, church and friends. I knew him for decades and I’m a better man because of our friendship. Whether I ate with him at a convention, sat with him on a bus, or preached in his pulpit, I always felt like I could learn from his wisdom. Preachers are divided today in so many ways. However, they will be united at Rev. McDowell’s home-going service. It does not matter where the service will be, it will be standing-room-only. We lost more than another minister. We lost part of an era with his passing. Our sincere prayers are with his family and church family. Goodnight my friend. We’ll see you…..in the morning. Thanks for sharing regarding my uncle..